Don Van Vliet (, born Don Glen Vliet; January 15, 1941 – December 17, 2010) was an American singer, songwriter, multi-instrumentalist, and visual artist best known by the stage name Captain Beefheart. He conducted a rotating ensemble called the Magic Band, with whom he recorded 13 studio albums between 1964 and 1982. His music blended elements of blues, free jazz, and rock with avant-garde composition, idiosyncratic rhythms, and his surrealist wordplay and wide vocal range. 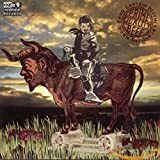 Known for his enigmatic persona, Beefheart frequently constructed myths about his life and was known to exercise an almost dictatorial control over his supporting musicians. Although he achieved little commercial or mainstream critical success, he sustained a cult following as a "highly significant" and "incalculable" influence on an array of new wave, punk, and experimental rock artists. He has been described as "one of modern music's true innovators." An artistic prodigy in his childhood, Van Vliet developed an eclectic musical taste during his teen years in Lancaster, California, and formed "a mutually useful but volatile" friendship with musician Frank Zappa, with whom he sporadically competed and collaborated. He began performing with his Captain Beefheart persona in 1964 and joined the original Magic Band line-up, initiated by Alexis Snouffer, the same year. The group released their debut album Safe as Milk in 1967 on Buddah Records. After being dropped by two consecutive record labels they signed to Zappa's Straight Records, where they released 1969's Trout Mask Replica; the album would later rank 58th in Rolling Stone magazine's 2003 list of the 500 greatest albums of all time. In 1974, frustrated by lack of commercial success, he pursued a more conventional rock sound, but the ensuing albums were critically panned; this move, combined with not having been paid for a European tour, and years of enduring Beefheart's abusive behavior, led the entire band to quit. 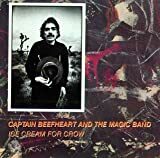 Beefheart eventually formed a new Magic Band with a group of younger musicians and regained contemporary approval through three final albums: Shiny Beast (1978), Doc at the Radar Station (1980) and Ice Cream for Crow (1982). Van Vliet made few public appearances after his retirement from music in 1982. He pursued a career in art, an interest that originated in his childhood talent for sculpture, and a venture which proved to be his most financially secure. His expressionist paintings and drawings command high prices, and have been exhibited in art galleries and museums across the world. Van Vliet died in 2010, having suffered from multiple sclerosis for many years.